An enormous quantity of information is available regarding the nutritional needs of cats. I see no reason why it should violate their rights to satisfy these needs from non-animal sources…making it possible for cats to be vegetarian is surely no greater violation of animal rights than (1) domesticating cats and preventing them from hunting their own food (2) killing literally millions of chickens, cattle, sheep, horses, fish, etc., to feed domestic pets. Cats are quite adaptable, as we have discovered. They have the capacity to adapt to humans in a variety of ways…I see some humans and cats evolving a new kind of cultural evolution path and relationship that has the potential to lead to much less suffering in the world, a more cooperative relationship between humans and the nonhuman world, and more consideration being given to cats’ health than that provided by those who collude with the primarily profit-motivated conventional commercial pet food industry. The need to reduce animal suffering is urgent. Killing several species of animals to feed cats (and dogs) can no longer be justified now that nutritious alternative diets are economically and conveniently available. In 1986, James Peden formulated a product that freed cats from slaughterhouse products and provided them nutritionally complete, cruelty-free meals. 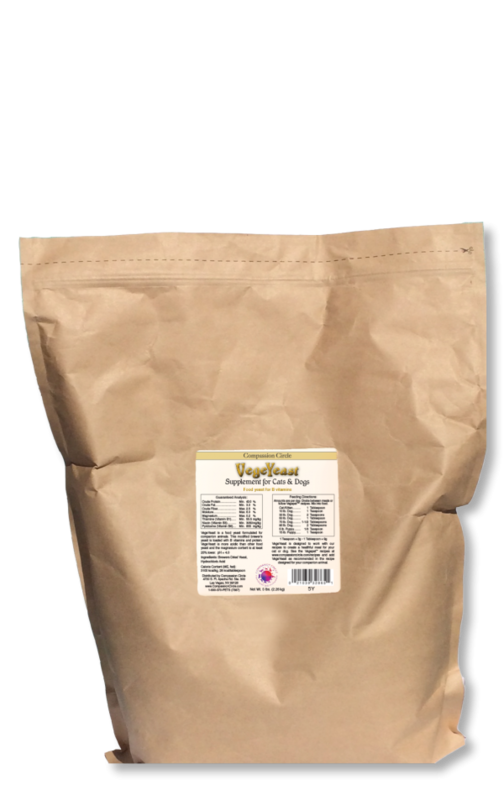 Vegecat™ and the other Vegepet™ supplements for cats provide the nutrients cats require from non-animal sources, including: Taurine, Vitamin D2, Vitamin A, and the essential fatty acid arachidonate that is required for numerous vital metabolic processes. 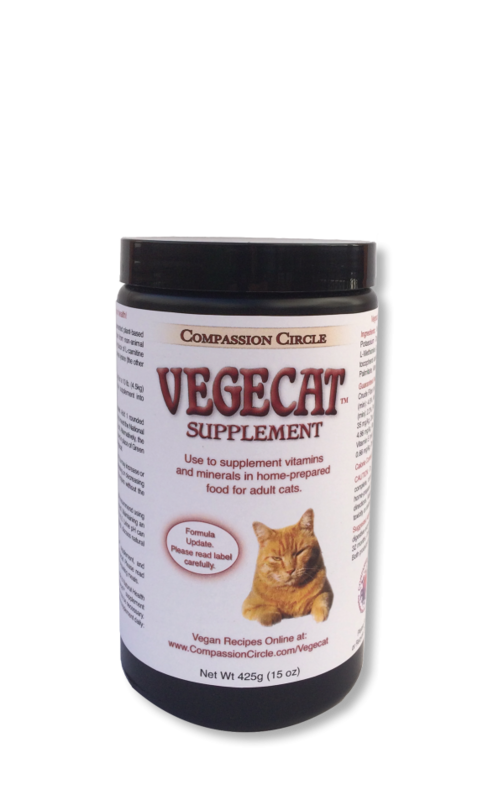 Vegecat™, Vegecat phi™, and Vegekit™ have been used by the compassionate caretakers of numerous cats throughout the world and over many, many years. To order, or read more about the cat products Compassion Circle offers, please click on the product images at the bottom of the page. Suggested recipes are included in each product container. They can be downloaded on our “Recipes & Literature” page. 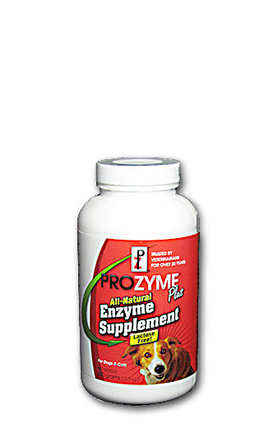 The following will help you decide which products are best for your animal family. 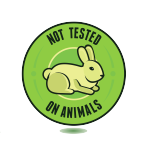 Kittens up to 12-months old and lactating cats (queens) should be given Vegekit™. 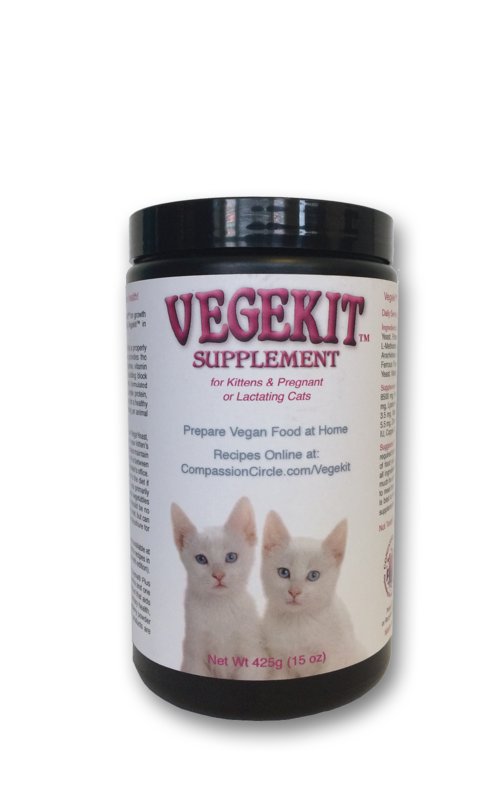 For convenience, adult cats may be fed Vegekit™ in households with both kittens and adults. Read more on the Vegekit™ page. 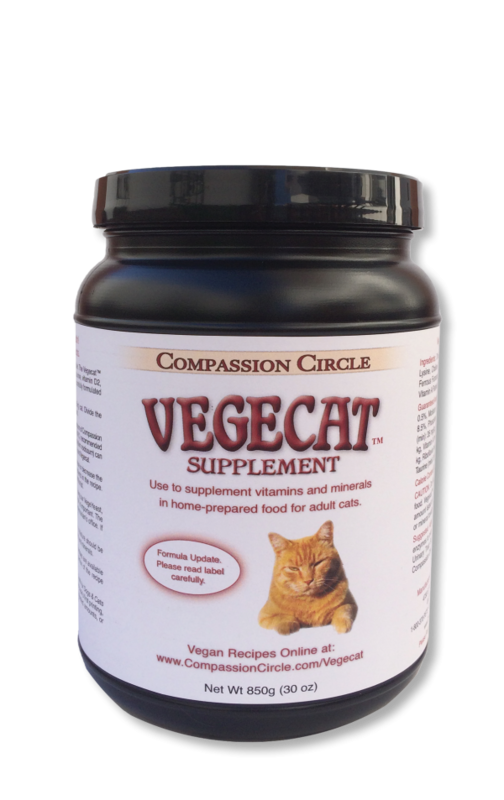 Vegecat™ is the preferred product for older cats with weaker kidneys and most cats. 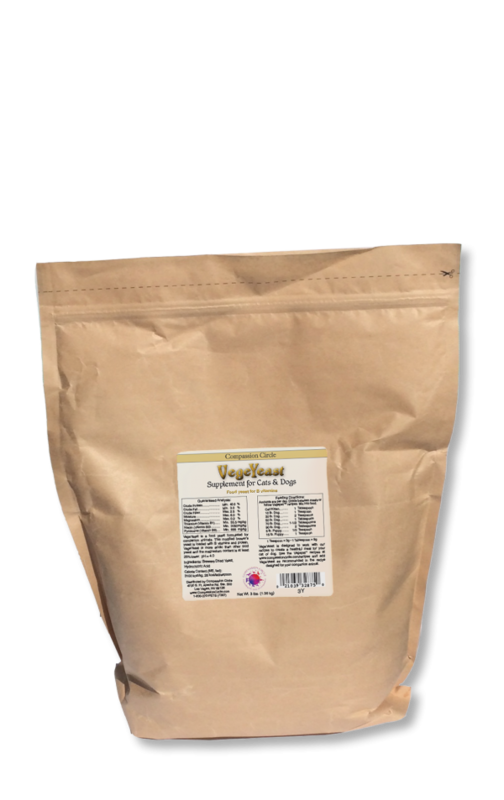 VegeYeast is an ingredient in the recipes that accompany the Vegecat™ supplement and an important adjunct to the Vegecat™ diet, as it is more acidic than other food yeast. Read more on the Vegecat™ page. 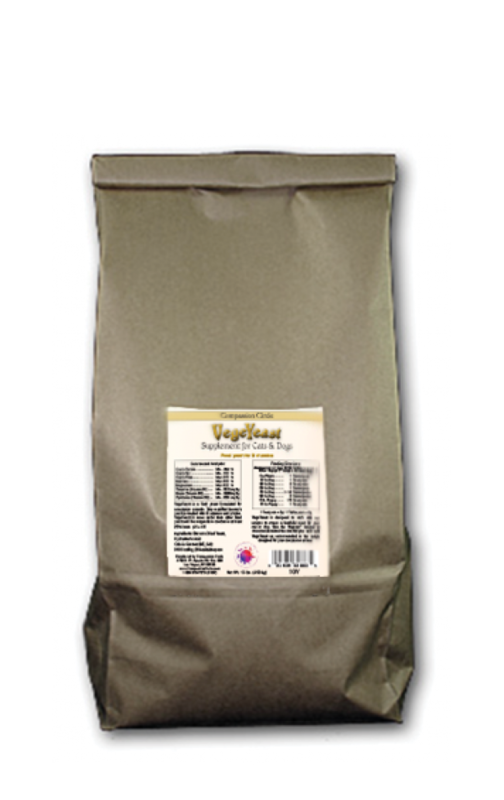 Vegecat phi™ contains sodium bisulfate while regular Vegecat™ does not. Sodium bisulfate has been approved by the Center for Veterinary Medicine as a urine acidifier. Sodium bisulfate has also been shown to increase the palatability of food for cats, but this should not be a determining factor when deciding on a product. 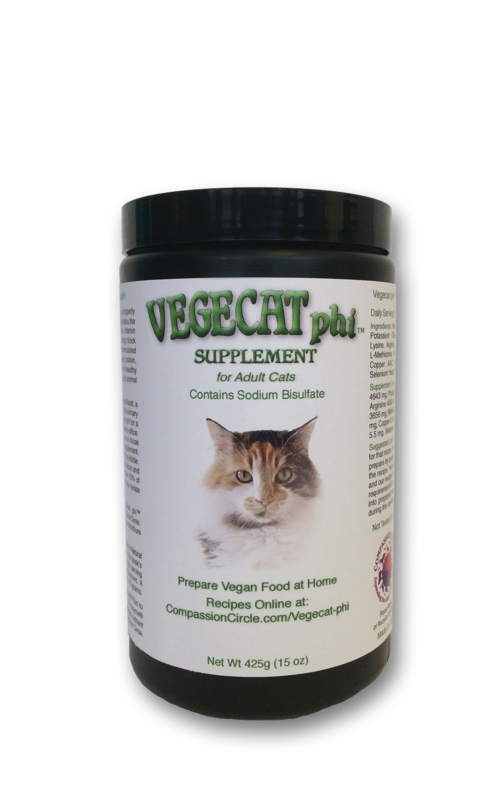 Read more on the Vegecat phi™ page. 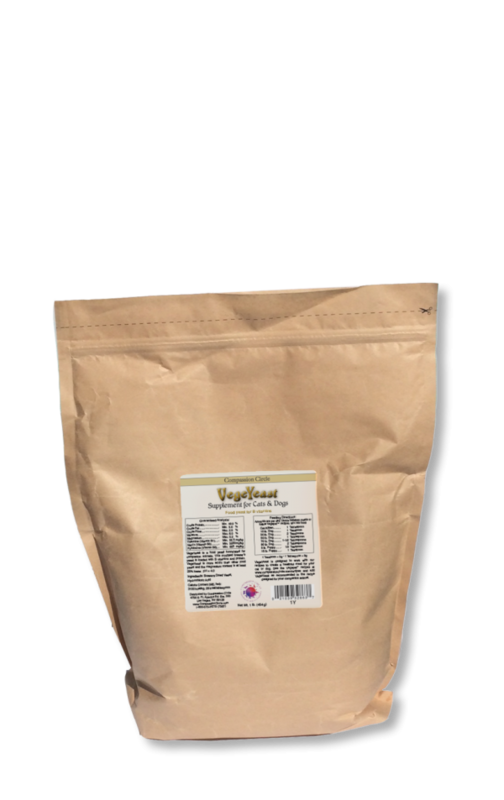 VegeYeast and digestive enzyme products are an important addition to the vegetarian cat’s diet, and VegeYeast offers a taste cats love. Urinary issues are quite common for cats on any diet. The more water and moisture in a cat’s diet, the better. Urine concentration is improved by added moisture. Feeding primarily wet food recipes can prevent urinary problems. When wet food does not make up the majority of the diet, water or pureed veggies should be added to kibble to increase fluid intake. Unlike humans, cats require an acidic urine pH to maintain health. Cats should have a urine pH of 6.0 to 6.5. It is wise to test urine at home or at a vets office before switching a diet and about 3-weeks after transitioning to a new diet, then periodically after – twice in the first year and yearly after. If alkaline urine is a problem, vets often recommend adding Vitamin C (asorbic acid) to the diet. You can discuss other natural ways of acidification with your veterinarian, and we are happy to recommend veterinarians that will support you feeding a plant-based diet. Please contact us from the contact page. To test urine pH at home, use only a tiny amount of litter in the litter box. Urine can then be collected in a corner and tested with an over-the-counter pH test strip. Alternatively, a regular amount of litter in the box can be covered with plastic wrap, allowing urine to pool on the plastic and be tested. 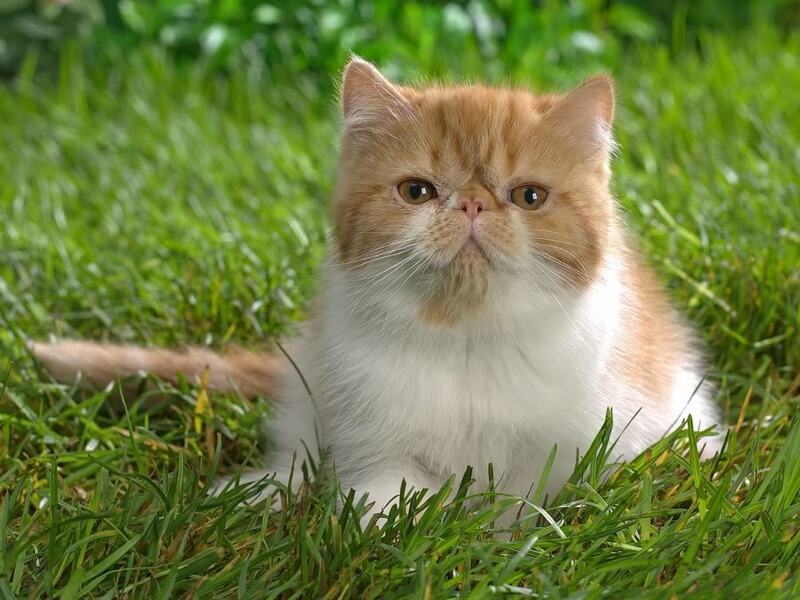 There is also non-absorbent cat litter than can be used in place of standard litter. You will find that in our on-line shop. The non-absorbent litter will allow urine to collect in the bottom of the litter box. Lastly, there is litter available that will change color depending on the urine pH. Test strips are probably more accurate than this last option, but you should be able to gauge a change in pH using the litter that changes color. Of course, a vet can do the urine testing as well. Please visit our Frequently Asked Questions page to learn more about feeding your cat a cruelty-free diet.